Civilization Beyond Earth is the next release of the popular Civilization franchise, a franchise focused on strategy games and managing empires. In this new installment, set in a future where civilization has begun to colonize distant planets in order to gain valuable resources. 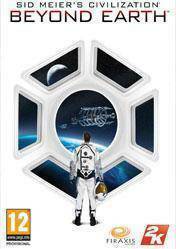 This edition of Civilization Beyond Earth, comes with lots of extras: Civilization Beyond Earth (the entire game) , Civilization V (5), Civilization IV (4), and Civilization III (3) Complete and all addons. In addition to these games, the preorders will also receive the following bonus features: The Exoplanets map pack for free, including six custom maps inspired by real world exoplanets. Specialized scripts that produce different geographical designs randomly each time a new game starts, allowing even more replayability new alien worlds. An awesome bundle for Civ lovers who do not have the set on Steam! Wow!!! I didn&#39;t know this existed! I want to get my hands on it!